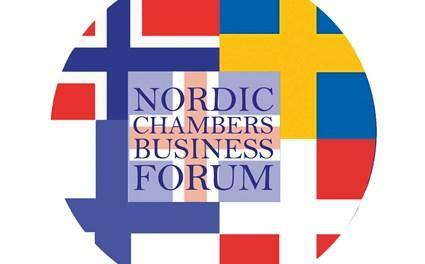 The Nordic Chambers Business Forum returns to London on the 19 September, this year hosted at Equinor UK in Paddington. For over five years the Forum has brought together senior business people to celebrate Anglo-Nordic business, share expertise and discuss timely topics. This year, the focus will be on Business Agilitywhere experts will explain what agility means, how organisations can evolve to thrive in an environment that demands constant change, and what they do to be dynamic and successful. 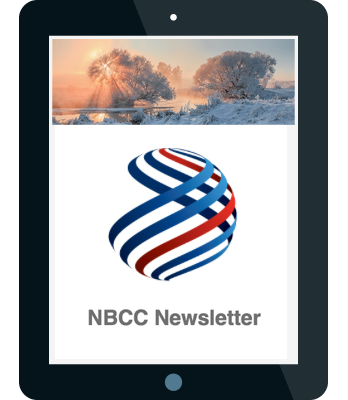 Each Nordic Chamber will have a prominent speaker representing their organisation and network. Apart from these speakers, the aim is to have one expert, “trend master”, to give an overview of Business Agility. After the presentations, there will be a dynamic and thought-provoking panel discussion with active audience involvement, led by a moderator. We are expecting circa 100 guests; all Nordic Chambers are inviting their respective networks and the event is open for all interested. In previous years, the audience has consisted of senior executives and business leaders from various sectors, entrepreneurs and trend setters of Nordic/UK/global businesses. Find out about our Speakers below. This event is kindly supported by Equinor. H.E. STEFAN HAUKUR JOHANNESSON, Ambassador of Iceland to the United Kingdom. LAURENT PONCET is Head of Business Model Innovation at Equinor. His main responsibilities are to build the Company Intrapreneurship Programme and generate innovative growth options. Prior to this assignment, he served three years as Head of Corporate Strategy Development in Oslo and two years as North America Strategy and Portfolio Manager in Houston. From 2005 to 2012, Laurent worked at McKinsey & Company, serving energy clients globally. His consulting expertise resided in growth strategies and corporate transformations. Prior to his McKinsey career, Laurent had 5 years of operating experience as petroleum engineer and subsurface team leader with ExxonMobil. Laurent holds two Masters degrees (i.e. Petroleum Engineering from Herriot Watt University-UK, and Civil Engineering from École Supérieure des Travaux Publics de Cachan-France). In 2004, he graduated from the London Business School Executive Development Programme. Laurent is currently pursuing the Innovation and Entrepreneurship Certification Program at Stanford University. Laurent is a Chartered Petroleum Engineer, a Conseiller du Commerce Exterieur de la France, and an active member of Society of Petroleum Engineers. MICHAEL CLARK is a Client Director with Mannaz, a Danish/International management consultancy specialising in leadership development and project management training. He has worked within HR and leadership development for over 25 years, both in Denmark and internationally and is currently developing a Business Agility Leadership programme for a major Swedish client. Michael’s perspective on Business Agility is that for the concepts to succeed, old hierarchical habits and structures have to be replaced – and this requires a shift in the traditional concept of what it means to lead. During his presentation he will explore some of the background to Agile ideas – and some possible ways forward. CORMAC WHELAN is currently the CEO for the UK & Ireland at Nokia, having taken up this role in January 2016. In this role he leads all operations for the UK & Ireland markets including sales, business management, delivery and operations. As a senior executive over more than two decades in a number of global blue-chip organisations, Cormac has extensive experience is sales, marketing and business development. In addition he has proven expertise in strategic planning and driving transformation and change management in large scale businesses. Prior to his current position Cormac led the Alcatel-Lucent business in the UK & Ireland. Earlier positions included senior roles at BT, the largest telecommunications operator in the UK, and international roles at UUNET and Motorola. Cormac is originally from Dublin in Ireland where he obtained his degree from Trinity College before moving to the UK in 1987. Throughout his career he has travelled extensively and has worked in the USA, France, Belgium and the Czech Republic. He is a former advisory board member of the South East Area Board of the Teenage Cancer Trust, and lives in Sussex, UK with his wife and daughter, where he tries to indulge his passion for golf. Moderator: ELISABETH BRAW is an associate fellow at RUSI; she directs the new Modern Deterrence programme, which focuses on how governments and business can work together to strengthen national resilience. Prior to RUSI, she worked at Control Risks following a career as a journalist where she reported from the United States, Germany, Italy and other countries. She remains a contributor to The Wall Street Journal, the Financial Times, Foreign Policy and Politico, focusing on European defence and security, and frequently speaks at conferences.